This unique tribute is created using the freshest sunflowers which are adding a finishing touch to the elegant display of white chrysantheums. It represents the eternal life of a loved one who will always remain in your heart. Reliable service. Called them to ask for the price of a funeral tribute and was treated with great respect and friendly attitude. Real professionals. Very delicate arrangement. Took me a while to figure out which arrangement would be the one to order but thought this one was quite beautiful. 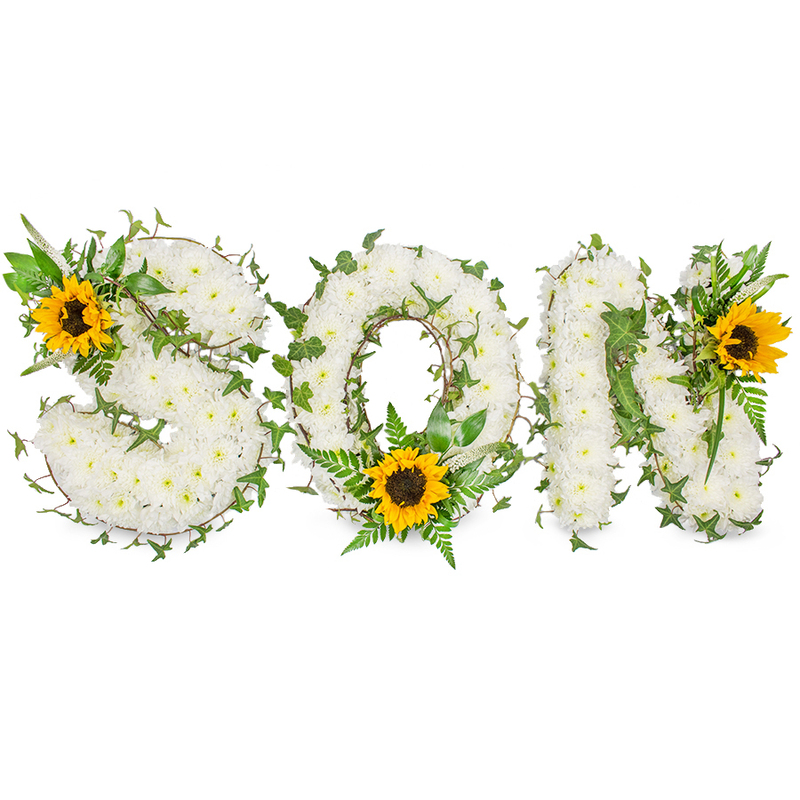 It was very easy to order funeral flowers from Handy Flowers as it took me just a few minutes to fill in my details and get a confirmation of my order. The arrangement was delivered on time for the funeral service and looked very beautiful.